Departing employees can be a big source of data leakage for organizations; in fact, there are at least 5 reasons why departing employees can be a real pain. So we need to take a closer look into how to reduce this risk. Of course, as soon as an employee leaves the company — whether because they quit or retired, were fired or laid off, or something else — you need to immediately deactivate all of the user’s accounts and terminate all access to corporate resources. But that’s not nearly enough. Weeks or months before the actual moment of termination, employees often know that they are planning to leave, or suspect that they are going to be fired or laid off. This gives them plenty of time to copy confidential information to take with them before you deactivate their accounts. Fortunately, even in these scenarios, there are 5 key ways to reduce the risk of employee theft of confidential information on their way out. Every organization should consider making these best practices part of their security strategy. Because we don’t know who will turn out to be a rogue employee, it’s essential to establish and enforce the principle of least privilege: Grant each user access to only the systems and data they need to do their jobs, and nothing more. 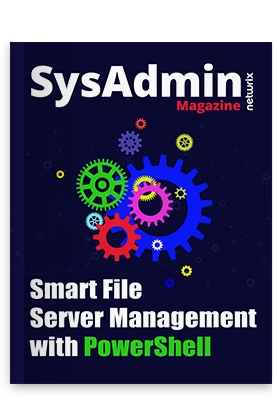 In particular, follow these best practices for configuring access lists on your file servers. The most efficient effective way to do this is with privileged user monitoring software, change auditing software or data leak protection (DLP) software. You can also use native tools, but they are not nearly as easy to configure and use. a. Navigate to the required file share, right-click it and select “Properties”. b. Select the “Security” tab ? Click the “Advanced” button ? Go to the “Auditing” tab ? Click the “Add” button. d. Click “OK” three times. e. Run gpmc.msc on your domain controller and create a new GPO. – Go to “Local Policies” ? Select “Audit Policy” ? 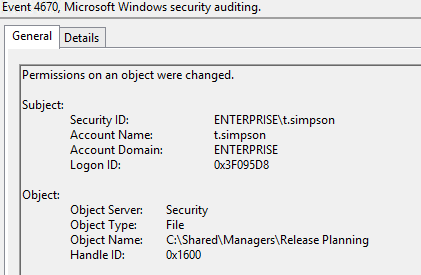 Under “Audit object access”, check both the “Success” and “Failure” checkboxes. 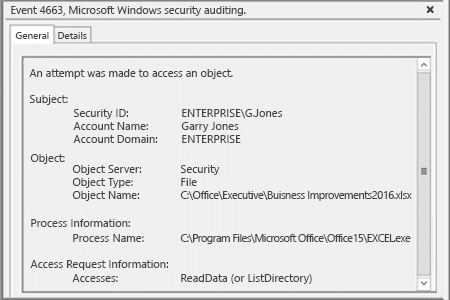 – Go to “Advanced Audit Policy Configuration” ? Select “System Audit Policies” ? Select “Object Access” ? Under “Audit file system”, check both the “Success” and “Failure ” checkboxes. – On the same screen, under “Audit handle manipulation”, check both the “Success” and “Failure” checkboxes. g. Link the new GPO to the OU with your file servers and force Group Policy update by running the “gpupdate /force” command at the command prompt. This could be also helpful when you need to restore critical data that was lost somehow. Encrypting the critical data on your file servers protects it, because even if a departing employee steals the data, they cannot read it except from your workplace. File system level encryption is offered by third-party vendors but it is usually not cheap, so the data you encrypt should be worth it. Implementing these 5 key best practices will dramatically reduce the risk of data theft by departing employees. Of course, they could still manually copy information from the screen on to paper, take photos of individual screens, or steal your decryption key. But all of these options are more complicated and time-intensive than just copying or transferring files electronically. Be aware that some of these 5 best practices are not cheap to implement and maintain, so be sure to carefully assess your risk and act accordingly, repeat the risk assessment and response process regularly, and make sure everyone follows user termination best practices scrupulously.